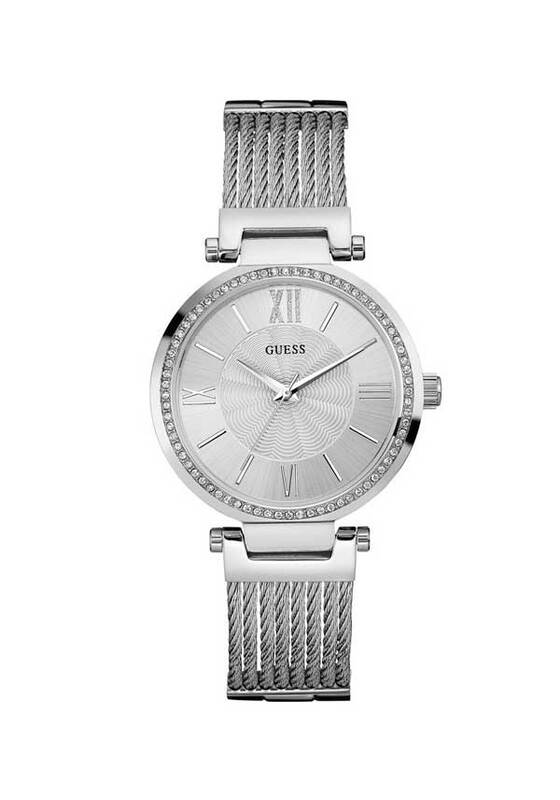 On an elegant silver tone, multi rope, style bracelet, the Soho Watch from Guess is the perfect accessory. 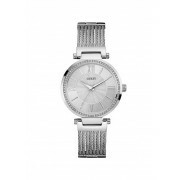 With a shimmering silver coloured dial, this classic watch is set with a halo of shimmering clear crystals. Wear with bracelets for a funky look.